I love making holiday treats but I don't always love the mess or the hot oven when baking, so I thought I would try something fun and make some holiday Cocoa Krispies and Rice Krispies Treats. I chose both to do both Cocoa Krispies and Rice Krispies to please the chocolate and plain treat lovers. 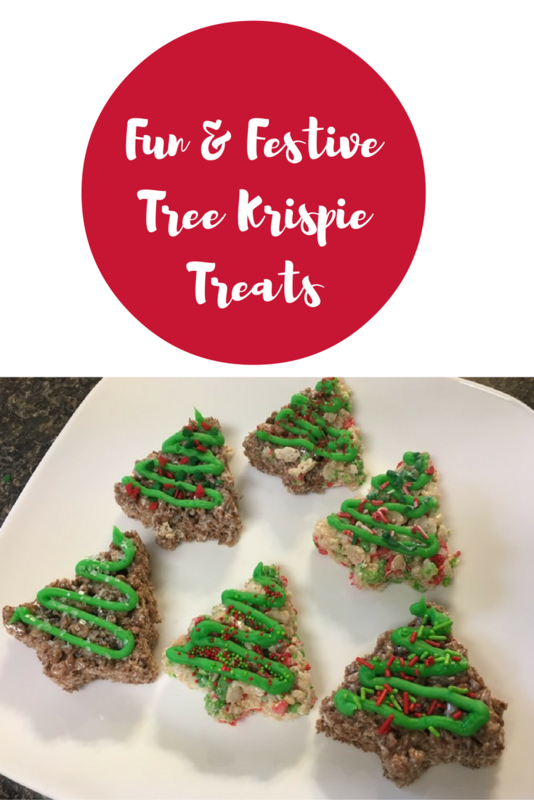 Right now, Target carries the limited edition holiday colored Rice Krispies cereal, so I was excited to include it in this recipe! I cashed in on the deal Target has right now: Buy two Rice & Cocoa Krispies and get free Jet puffed marshmallows! This deal is valid 11/13 – 12/3 and the discount is taken at the register. I found my Cocoa Krispies and limited edition Holiday Colored Rice Krispies in the cereal aisle at Target! Making the treats is so simple. No hot oven and it doesn't take very much time! It's as easy as 1, 2, 3! 1. Melt 3 tablespoons butter in a pan on the stove on low heat. 2. Pour in 10 oz or 4 cups marshmallows and stir until melted. 3. Remove the marshmallow and butter mixture from the burner and stir in 6 cups of Cocoa Krispies cereal. I add it in one cup at a time. Once it's all mixed, press the treats into a pan using parchment paper. If you're making a single batch, you an use a 9 x 13 pan. Since I was making a double batch, I used my large 12" x 18" pan. I repeated all the steps with the Rice Krispies in Holiday Colors and pressed them into the pan. Then, I let them cool and set for a few hours. Next, I came back with a Christmas tree cookie cutter. Make sure you have a cookie cutter that can cut through thick things. Metal ones that have no ridge work best. Cut the trees close together to get the maximum amount of treats from your batch. Of course my boys were happy to have some scraps, but I think I did pretty well maximizing my trees that I got from the pan. I got over two dozen trees! Next, it was decorating time. I used store bought green frosting that came ready in a bag to squeeze, but you could easily make your own and put it in a bag to pipe on. I was going for low mess/low stress with this recipe, so not having to make frosting was a winner this time in my book. Then, I added some festive sprinkles! I had a little help with my decorating, too! 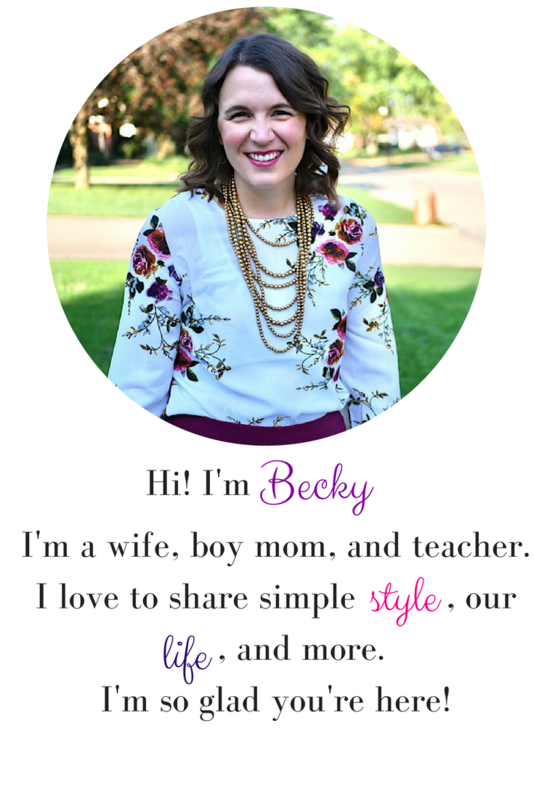 I'm so thrilled with how they turned out. Besides the cooling process, these treats took me about 30-40 minutes in all. You could easily make the treats one day and cut and frost them another day to spread it out, too. For more Kellog's recipe inspiration, check out this link! #Treats4Toys: Did you know Rice Krispies will donate a toy to toys for tots for every treat shared on social media September 16th through January 1st? 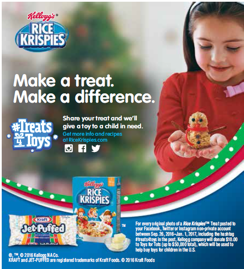 Make a treat, share a photo of your treat using #Treats4Toys, and Rice Krispies will donate a toy to a child in need! How cool is that? 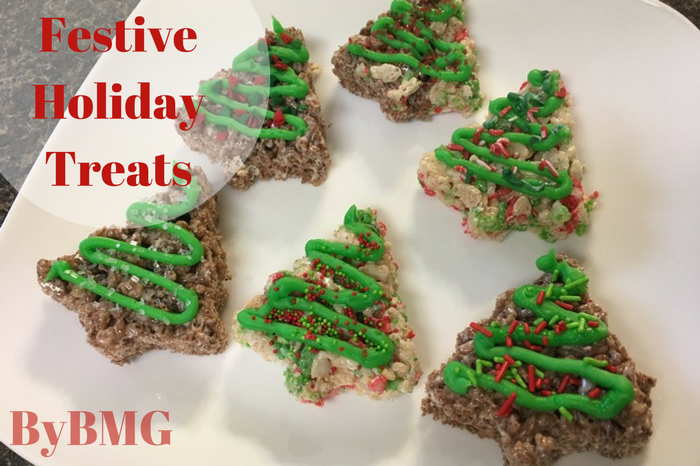 What is your favorite easy holiday treat to make? Are Cocoa Krispies and Rice Krispies Tree Treats on your to-do list now? 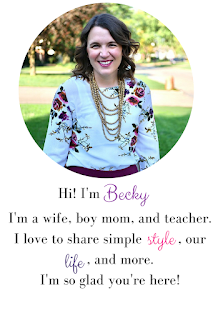 Linking up with Idea Box, Tuesday Talk, Happy Now ,and Creative Corner.